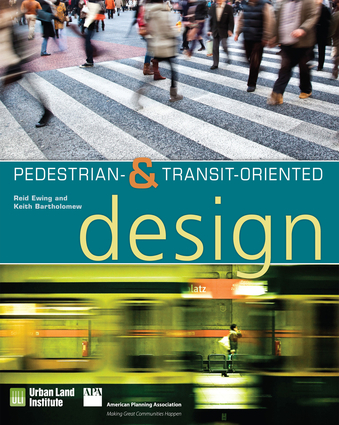 Explaining how to design spaces for pedestrians while also accommodating transit needs, this book is an excellent reference for students, public sector planners and officials, and private sector designers and developers seeking to make places more pedestrian- and transit-friendly. Written by a noted expert on pedestrian design and planning, this handbook contains examples of zoning codes from different localities. Reid Ewing is an expert in urban planning and a research professor at the University of Utah. He is the author of Best Development Practices and Growing Cooler: The Evidence on Urban Development and Climate Change. He lives in Salt Lake City, Utah. Keith Bartholomew is an associate professor in the University of Utah’s Department of City & Metropolitan Planning and is the associate dean of the College of Architecture and Planning. He is an environmental lawyer.